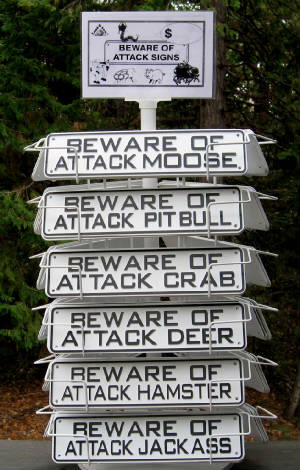 Interesting and Fun Signs by Land & Sea for just about every creature, personality or occupation. 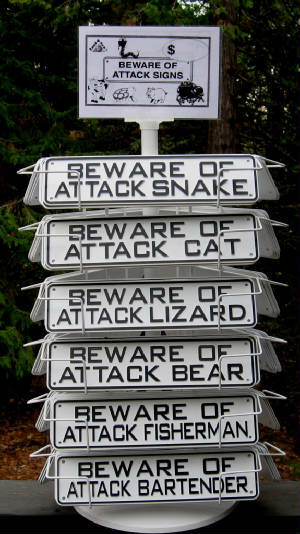 Signs are made of a Heavy Duty resin composite and measure 12 X 3. They have small pre-drilled holes in each corner for easy mounting. 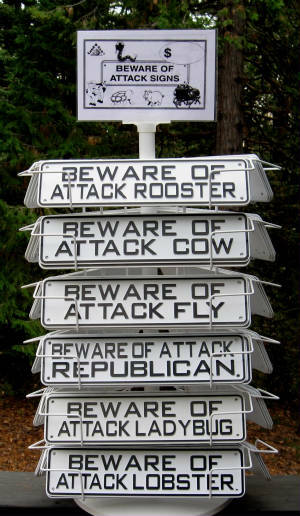 NEW SIGNS ADDED ALL THE TIME! Adding our full collection soon. If you do not see your sign please contact us.